An eye-catching, well-designed patio or walkway is the perfect project for giving your yard that much-needed upgrade. Wow your guests with a winding pathway to your house, or replace your old patio with a new gorgeous design. With the variety of materials available for these outdoor projects, it can be difficult to decide which is the best choice for your style and needs. Here are several types of natural stone that will provide unbeatable weather-resistance, durability, and beauty for your next outdoor surfacing project. Slate is a popular choice for outdoor surfaces due to its durability and versatile look. Slate is generally available in a variety of natural tones from tan and light gray to deep charcoal. 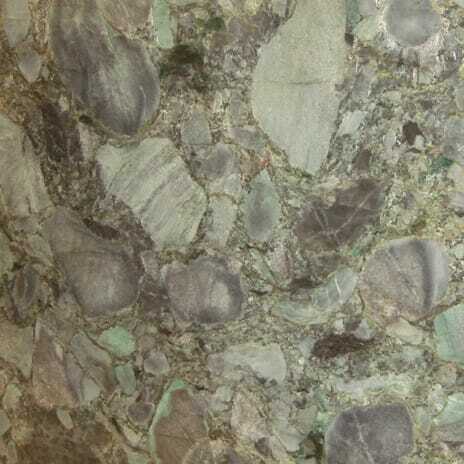 This stone can also contain color variations including blue hues and touches of cream, gold, green, and copper. Slate walkways are a perfect option for use near pools and ponds or in wetter climates, because they’re naturally slip-resistant when wet. The clean look of slate tile also pairs well with other materials, such as gravel, brick, or glass mosaic tiling. For a more rustic look, opt for natural-cut slate slabs to create a unique step-stone walkway. Quartzite is another natural stone that creates a perfect surface for outdoor patios and walkways. With color palettes ranging from silvery-gray to cream to emerald tones, quartzite is available in a variety of hues. Often compared to marble in its appearance, quartzite can contain mosaic-style designs, whorls, veins, and fissures, all of which lend a sense of movement to this stunning stone. Tiles made from this stone provide a modern yet artistic look to any outdoor surface thanks to their natural variance and subtle coloring. Durable and harder than even granite, quartzite is naturally strong and heat-resistant, so it’s an ideal choice for high-traffic outdoor surfaces such as patios, or for use in especially hot climates. 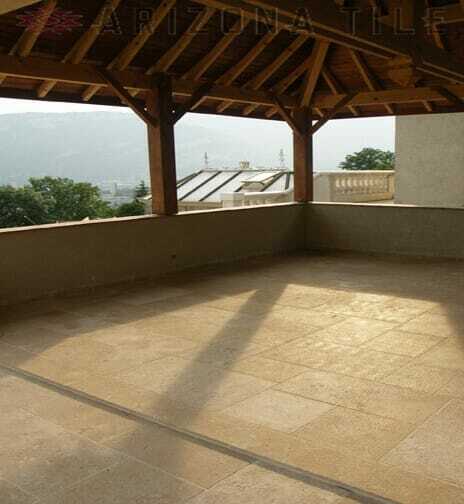 This type of stone can also be used for outdoor fireplaces and other exterior projects such as bars or ledges. Some quartzite contains iron and takes on a gorgeous rusty patina when exposed to water, making it an especially unique choice for areas near a pool or pond. Limestone is a classic choice for exterior applications due to its density and subtle, elegant coloring with a uniform appearance. With color variations ranging from near-white to deep tan, limestone tile can also contain blue and green hues, as well as hints of gold, copper, and pink. Popularly used for outdoor paths and patios, limestone works well for garden walkways or transitions between areas of your yard. It’s also a great option for pool tiling. This material shines when paired with mosaic tiling or other natural stones. For a dynamic, natural look, create your limestone surface with an organic, curving design and use a variety of tile sizes and hues. 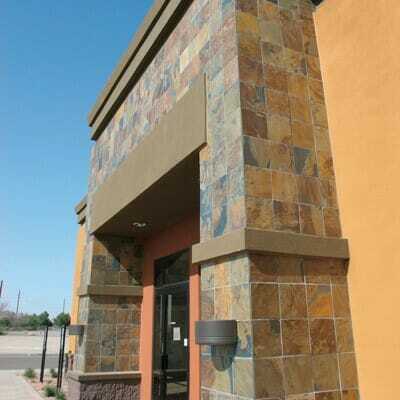 This guest post provided by Arizona Tile locations.